Combining an instantly recognisable compact sporting design with exceptional technology, the 2014 V8 Vantage embodies all that is great about Aston Martin. Sporting, yet elegant. Powerful, yet pure. The classic exterior lines of V8 Vantage are world famous. Distilling the essence of Aston Martin design into a compact, sporting body was a challenge our designers didn’t take lightly. Now ten years since its global debut, the 2013 V8 Vantage has been refined; the same lithe exterior shape but with exquisite new features and styling. A pure-bred sports car combines agility, athleticism and potency. Powered by a lightweight 4.7ltr V8 engine, V8 Vantage adheres to an outright philosophy effortless and exploitable performance. Fantastic performance figures; 426PS of peak power, maximum torque of 470Nm and a sprint time of 4.9secs to 62mph. V8 Vantage combines power and ability in one unique package. Hand-assembled at Aston Martin’s purpose-built engine facility the V8 engine is tuned to deliver the broadest possible spread of performance. Creating a great engine isn’t just about statistics it’s about usability. Special attention was paid to the way the engine breathes, performing to maximum at low and high revs. Air flow is guided into the combustion chambers through sculpted inlets, and evacuated through free-flowing exhaust systems. Bypass valves subdue the exhaust note at low speeds, but at higher speeds these valves open to reduce pressure, increase the power output of the engine and produce a truly magnificent soundtrack. The core of V8 Vantage is our VH (Vertical Horizontal) architecture. Providing a lightweight, high-strong and stiff structure to which the engine, transmission and double wishbone suspension are attached, the VH platform is designed to concentrate as much mass as possible within the wheelbase for perfect weight distribution, a low polar moment of inertia and a low centre of gravity. The 2013 V8 Vantage now offers two transmission options. A six-speed manual remains for those preferring the traditional control of a stick-shift sports car. Alongside this is a new seven-speed Sportshift II, replacing the previous six-speed version. With an additional gear, closer ratios, lower final drive and a quicker, refined shift quality, this new gearbox designed and manufactured specifically for Aston Martin provides faster shifts, optimises acceleration and delivers a razor sharp sporting control. Power from the V8 engine. Agility from a choice of two transmission options. Stiffness from an advanced core. V8 Vantage adds a fourth layer; exceptional dynamics. ABS and Traction Control (TC) help maintain maximum grip at all times and in all weathers, while Dynamic Stability Control (DSC) provides a further layer of protection against wheel slip or loss of traction. We didn’t stop there; the 2013 V8 Vantage features grooved and vented 380mm cast iron discs offering fantastic braking ability. Quicker steering, bigger brakes and wider tyres have all been fitted to make the 2013 V8 Vantage’s the most responsive and exciting V8 Vantage we've ever made. A new steering column, re-valved power-steering pump and a quicker ratio of 15:1 compared to 17:1 ensure the new V8 Vantage steers with greater precision, handles with more agility and offers a completely engaging drive. Designing a sports car might mean compromising on capacity and storage. 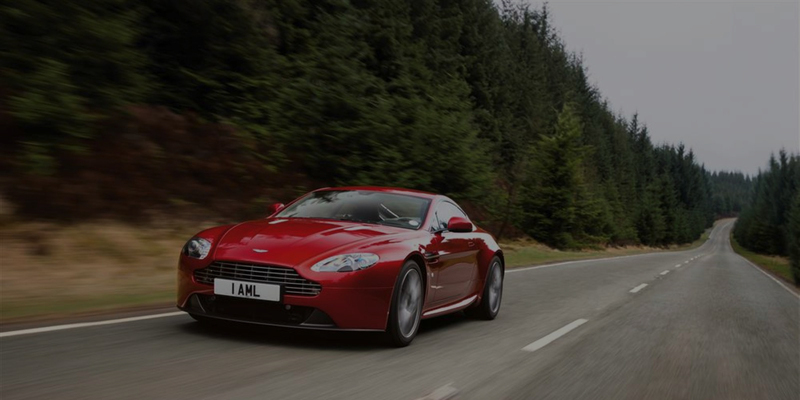 The 2013 V8 Vantage does the impossible. 300ltrs of storage space and one of the largest cockpits in its sector means this car is up to 3 times larger than some rivals. Extra space isn’t limited to the interior. A large-capacity fuel tank has been specifically designed for extended range between fuel stops. Each V8 Vantage displays an interior or exquisite quality. Soft, supple, hand-stitched leather swathes the seats, dashboard and door panels. Intricate, aluminium-faced instruments are designed to resemble the technical look of a chronograph watch. Everything you look at and touch has been lovingly crafted to give visual and tactile pleasure.